May | 2011 | Knowledge is free at the library. Just bring your own container. Right that’s it. No more changes. Developing a community of independent, confident and self-directed learners. I’m now a bit worried as others have written 300 words! 9 words… I’ve got a mission statement too but even when you add that it doesn’t make 300. Well Arthur said no more than 30 so I’m going concise and to the point. Like it or not here I come! Interesting little slide show and assignment 2 ETL504. Saw this when surfing around and really liked it. Great photographs and a good message. Thanks to Katie Birkwood for listing the reasons why libraries are great..
On another note assignment 2 coming along quite nicely. Feeling a bit pressured as the date is looming and I’m usually done by now. I think I’m almost at the point I can start writing the plan and the steps to bring about change. It’s been a very interesting assignment and Arthur’s book has eventually come in handy now I have managed to synthesised some of the readings. I’m thinking big but must remember to take small steps. Plenty of information in the readings about working on collaboration and getting support, must weave that in. Still debating about whether to keep the learning and teaching principles in but I have changed the vision again… yes I know! So as of tonight it is Quarry Bay School library, developing a community of confident, independent learners though meaningful and engaging learning experiences. It will no doubt change again but I’m keeping independent and confident although I’m now wondering if I should add self-directed? Watch this space yet again. Something I’d read during the last subject (collection management) stated that although the TL is ultimately responsible for the collection others within the community should be involved in its development. So tonight I tried out a wine and weed hour. I invited our lower school teachers to come along and help weed the picture books. I offered wine and juice and around an hours worth of work. Six willing crew turned up, one with snacks! A bit of music in the background, lots of laughs and large numbers of picture books culled. To anyone considering weeding their collection I’d recommend it. It got a big job done in a short amount of time and created a great collaborative atmosphere. Only problem now is that I need to deaccession and sort the. I might ust have to recruit the monitors. 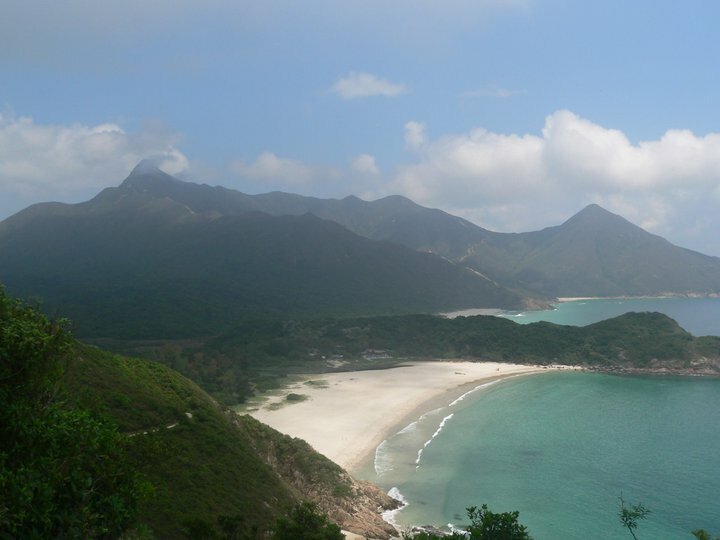 Half an hour from the hustle and bustle of HK. A beautiful long weekend thanks to a CPD day and Buddha’s birthday. The sun shone and the sky was blue. Hong Kong in good weather just can’t be beaten. Made even better by the results of the last assignment! Woop woop! Reasons to be cheerful, especially when I’d finished it on a beach in Indonesia with no internet access except the time I had to upload it. The hardest thing was selecting a vision. I keep wanting to change it because every time I go back to it it seems too simplistic but then each time I think about it I think it is right as I want the needs and wants of the learners to be at the heart of what we do. It is brief and easy to remember and can easily supports all the changes that I’d like to see within the LC. I’ve got a friend looking at it for feedback. I hope she likes it. Final vision for the ETL504? She sees the collection as a vital to make change happen and a tool capable of having great impact. She sees future school librarians using the collection’s diverse resources in order to help teachers differentiate instruction. The widening the collection’s spectrum to include multimedia and the learners needs will also acknowledge and account for differing learning modalities. Hmmmm… so how does this all fit with vision? Well after a lot of thinking and with time ticking away too quickly I began to think that learning is supposed to be our bread and butter. (didn’t Ross Todd or James Herring say that somewhere?) Surely then the learner is the most important person. Therefore, in order to have a visionary library that deals with the learners needs and preferences we must place the learner at the heart of everything we do. So there it is, Quarry Bay School library, putting the learner at the heart of everything we do. Now I’m not sure if that is what they are looking for or whether it is visionary enough but I think if we did this, not just in the LC but also in every class and every school we would make that difference we are all looking to do. Just read a great blog by Dr. Steve Matthews that helps structure library vision statements. It all seems so easy but I feel like I’m banging my head against a brick wall. What a bad month I’ve had; not in life but in study. As anyone can see blogging has not been top priority this month. Assignment 1A was quite successful with around 19% of the total score for the course racked up. The team worked well and despite not having the clearest of guidelines (in our opinion) we did a pretty good job. 1B has now disappeared into the EAST’s ether and I’m hoping for at least a pass on it so I can rack up some more marks. The next task seems like a biggie and I haven’t started anything. Strategic management. I know nothing…yet. Reading starts today, or maybe tomorrow, although I really ought to plan some lessons. 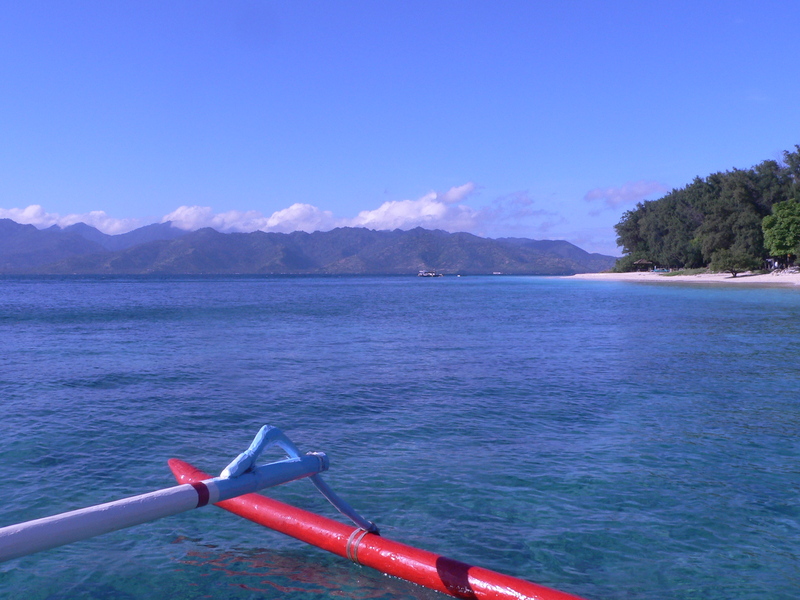 One of the reasons for my lack of blogging is 2 weeks on the Gili Isles, Indonesia. A lack of internet can really test the limits of distance learning as can a beautiful beach and crystal clear waters. Life's a beach and then you die. However although the deadline is already looming and I’m about as far behind as possible I am looking forward to getting stuck in and finishing this subject. If I get stressed or fed up I’ll just look at the pictures and dream that I’m back on the beach at Meno or Air with a mojito and I’ll soon be back on track.